Petra Goldberg | The Fantastic Flame On! 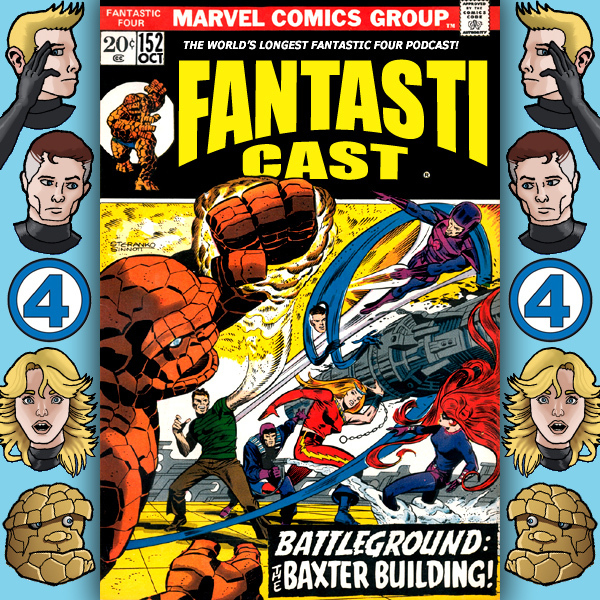 Big changes are afoot in this week’s episode of The Fantasticast. Fantastic Four #152 sees the Frightful Four infiltrate the Baxter Building, striking a blow at the heart of the Fantastic Four. With the team seemingly broken apart and defeated, can the combined force of Franklin and Sue Richards save the day? What unthinkable consequences will their actions bring? And can this set of show notes get any more overwrought? We also read your e-mails, plug our friends participating in Secret Convergence on Infinite Podcasts, discuss just why Reed Richards isn’t working for us in Secret Wars, encounter melodramatic Johnny Storm’s melodrama, and give more thought to Gorgon’s footwear than anyone has ever given before.